Appointments offered on Monday, Tuesday, Wednesday, Thursday, Friday and after hours. ℹServices offered are ATAPS, Cognitive Assessment, Counselling, CTP, DVA, EAP, Group Facilitation, Mediation, Medicare, Medico-Legal Assessment, NSW Workcover, Private Health Fund, Professional Supervision, Psychological Testing, QLD Workcover, Victims Services. B.A. (Hons) M.Clin.Psych. MAPS, MBPS, C.Clin. C.Psycol. Michael believes that people who come to therapy have many skills, competencies, beliefs, values, commitments and abilities that will assist them to reduce the influence of problems in their lives. The role of Psychology is to both respect this knowledge whilst also exploring alternative ways to deal with problems. Michael has 15 years experience working for public mental health services both in Australia and the United Kingdom. He has worked in a variety of roles such as Psychological Therapies, Inpatient Care, Crisis Assessment and Intervention, Living Skills, Case Management and Assertive Outreach. This has enabled Michael to deliver high quality psychological interventions to people with complex mental health difficulties. Michael has worked in a variety of ‘senior’ roles including Senior Psychologist for the public Psychologists Tweed/Byron Network and the team leader for an acute care service. Michael is known for his commitment to Clinical Supervision. He has supervised numerous Psychologists, Psychiatrists and Allied Health Professionals. Michael regularly trains post graduate students from Bond and Griffith Universities. He has also supervised members of an Early Intervention in Psychosis Team (Brighton, UK). Michael has completed two research studies on survivors of traumatic events, Vietnam Veterans and Adult Survivors of Child Abuse. Michael enjoys trying to keep up with his three young children and Springer Spaniel, Ruby. 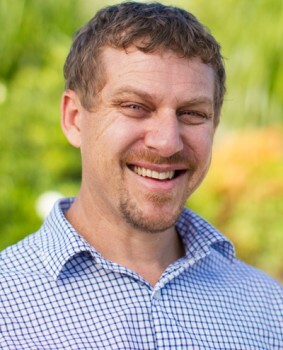 Michael is also available for appointments at Kingscliff Health.